I probably lost you at the headline… Zombies and Virtual Reality? Is there a combination of things that been overdone in the past few years than immersive goggles and the undead? Well nDreams’ Bloody Zombies isn’t your typical wave based Zombie FPS title that has risen to flood the steam store as of late. It is more of a VR enhanced title with a cartoony art style and from the promotional trailers and materials looks like it will be one to keep an out on. 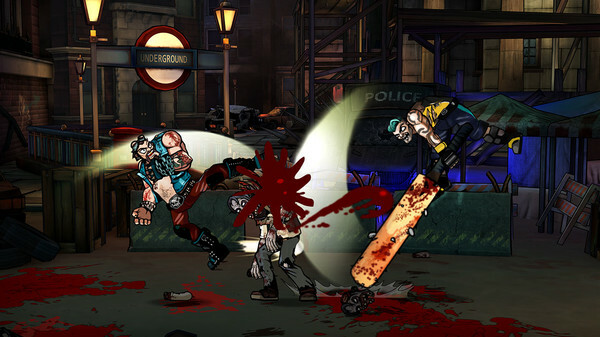 Bloody Zombies is a cel-shaded 2.5D brawler with colorful cartoony graphics reminiscent of Cel Damage HD or 2002’s XIII. It looks more like a gruesome over the top vibrant work of art come to life than it does the grey/brown mess other “realistic” zombie titles have adopted (is it fair to call a Zombie game realistic when it involves corpse reanimating themselves?) 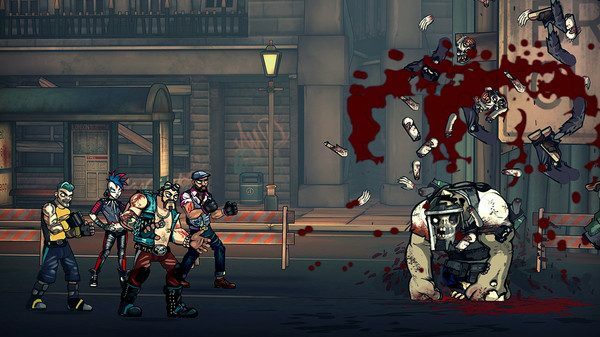 In this side scrolling beat ‘em up you and four friends get to explore a post apocalyptic London – finding new ways to re-murder the undead before they turn you into one of the shambling hordes. VR and non-VR players battle side by side with VR players being able to unlock hidden secrets for the rest of the party. Bloody Zombies is available for pre-order on both the PlayStation Network and Steam store front. It is currently priced at $15.19 CDN (including a pre-release 10% discount) on Steam, no official pricing is available on the North American PlayStation Store as of press time. It will launch worldwide on September 12th.